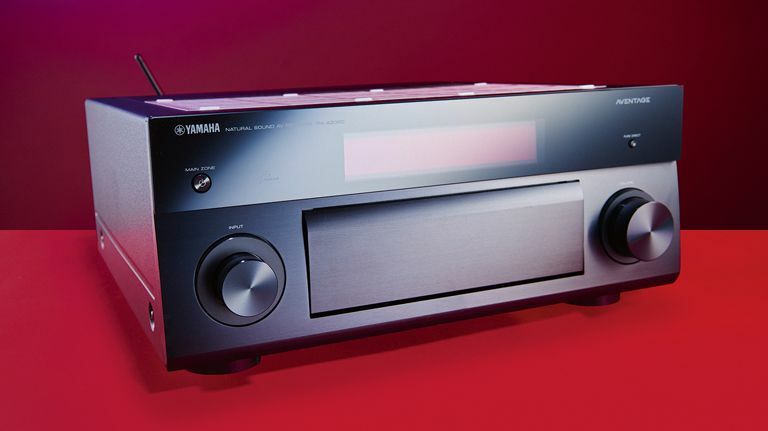 WIN a Yamaha multiroom system worth £1,500! January is a rubbish time of the year – it feels like it's permanently dark, those new year's resolutions aren't working and money's tighter than ever. But don't fear, as T3 can help smooth out this terrible time. For a limited period, you can pick up the mag for much less than you would normally, saving up to 62% on a year's subscription to the best gadget magazine there is. Let the happy times commence! Technology is moving forward at a rapid rate, and the way we live our lives is changing by the day – how we travel, how we entertain ourselves, how we cook and how we secure our homes. T3 – recently redesigned and now bigger and better than ever – is the magazine that'll keep you right up to date with the latest developments, bringing you exclusive news, reviews, in-depth features and expert buyer's guides. Our writers are as passionate about gadgets as you are, and this is reflected in insightful articles that cover every aspect of technology. In the Hype section, you'll read about cutting-edge launches; tech that truly has the 'wow' factor. Each month, Agenda recommends seven adventures that you can have with tech right now – everything from filming extreme sports on your GoPro action camera to taking a flight on a jetpack! Select is where we review the latest and greatest new products, from hardware to games and apps. And Elite is the ultimate tech buyer's guide – your first port of call if you're looking to buy something new for yourself or your home. The digital edition of T3 brings together all of the above great features, but adds an interactive element to make the experience even more exciting. To make all of this even more appealing, for the next three days we're offering you the chance to win a stunning Yamaha RX-A2050 AV receiver, worth £1,500, when you subscribe to T3. And even better, if you subscribe in the next 24 hours, we'll reduce the price by an additional 24% – simply use the code JANSALE24 at myfavouritemagazines.co.uk. This means you can subscribe to your favourite tech mag for as little as £9.12! So what's the Yamaha RX-A2050 all about, then? Well, it's a truly magnificent home-cinema receiver. With the transition to 4K resolution and the arrival of two completely new surround-sound formats, some AV receivers are being left behind, but not the future-ready Yamaha RX-A2050. It can decode both Dolby Atmos and DTS:X soundtracks, and its nine HDMI ports are all set for Ultra HD Blu-ray at 60 frames per second. It can also handle all of the high-resolution audio files we can think of, and has wireless connectivity covered with Spotify Connect, AirPlay, Wi-Fi and Bluetooth built in. But with nine discrete 140W amplifiers, the key advantage here is the sheer power and flexibility at your disposal. Rig up a Dolby Atmos 7.2.2-channel or 5.2.4-channel cinema, and lose yourself in the surround sound. And you can win one! How good does that sound? Remember, you have to subscribe by midnight on Sunday 31 Jan (GMT) to be in with a chance! Please note, this competition is open only to UK subscribers aged 18 and over. The prize is the audio-tech bundle pictured above. The competition closes at midnight (12am) GMT on Sunday 31st January. See here for full competition rules.